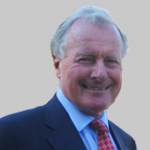 Charles Wilkinson is a solicitor who retired from Lawrence Graham LLP in March 2005. At Lawrence Graham he specialized in corporate finance and commercial law and advised mining companies. He is Chairman of Doric Nimrod Air One Limited and Doric Nimrod Air Three Limited, and a Non-Executive Director of Doric Nimrod Air Two Limited. William Humphries has over 45 years' experience in the mining and civil engineering industries. From 1996 to 1998 he was General Manager of Sardinia Gold Mining SpA and from January 1999 to July 2002 he was Managing Director of Brancote Holdings Plc until its merger with Meridian Gold Inc. He was also Managing Director of Patagonia Gold Plc since its inception until June 2015. Richard Prickett is a chartered accountant and has many years experience in corporate finance. 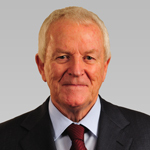 He was Chairman of Brancote Holdings Plc from 1995 until its merger with Meridian Gold Inc in July 2002. He is a Non-Executive Chairman of City Natural Resources HighYield Trust Plc and a Non-Executive Director of The City Pub Group Plc..
Helen Green is a chartered accountant and has been employed by Saffery Champness, a UK top 20 firm of chartered accountants since 1984. 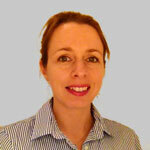 She qualified as a chartered accountant in 1988, and became a partner in the London office in 1997. Since 2000 she has been based in the Guernsey office where she is the client liaison director responsible for trust and company administration. 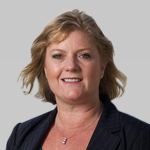 She is a Non-Executive Director of Acorn Income Fund Limited, John Laing Infrastructure Fund Limited, City Natural Resources High Yield Trust Plc, UK Mortgages Limited and Aberdeen Emerging Markets Investment Company Limited.